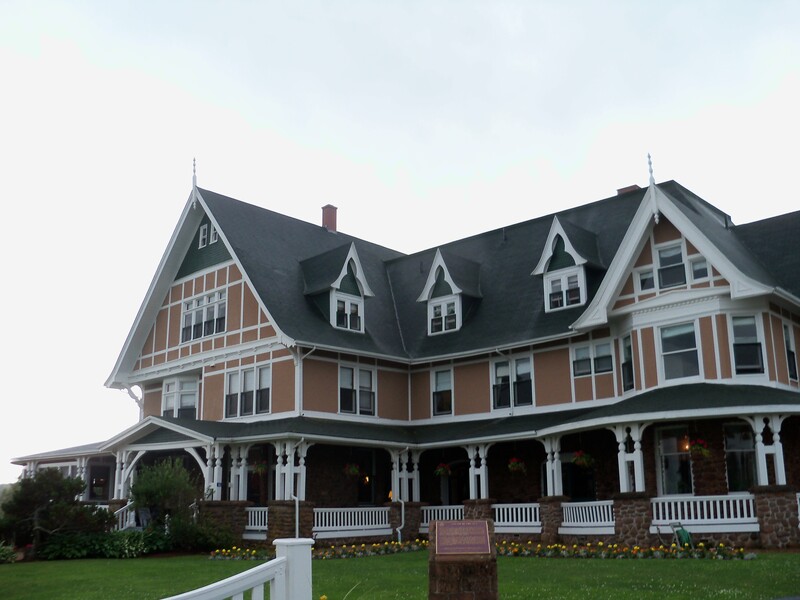 It started out a typical rainy, gray morning (7/28/11), so I decided to head into Charlottetown to check out the Lucy Maud Montgomery Institute. After I finally located the library on the UPEI campus (not a small feat! ), I almost despaired of being able to see anything–I’ve visited prisons with less security. But, I was able to see photocopies of L.M. 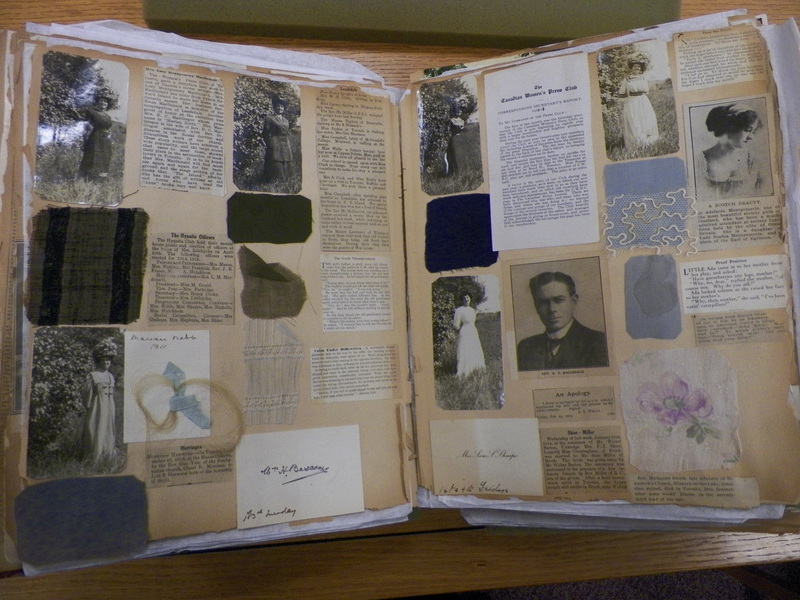 Montgomery’s scrapbooks: 7 volumes containing the newspaper and magazine clippings of her short stories and poems. It was overwhelming to say the least. I ended up reading a few here and there and choosing several I liked and thought I could illustrate. I began to despair of seeing anything else, when a Japanese student asked the guard (man on duty) about the institute. He said it is only open by appointment, but if she had a few minutes, he’d bring a few things out. I told him I’d be interested as well. It was definitely worth the wait. First, he brought out a kimono given to Montgomery by an admirer who’d been to Japan. He also brought her OBE (Order of the British Empire) certificate and medallion and her original poem book. Once he started bringing things out, the librarian warmed up, and we were able to see a veritable tide of L.M. Montgomery items. 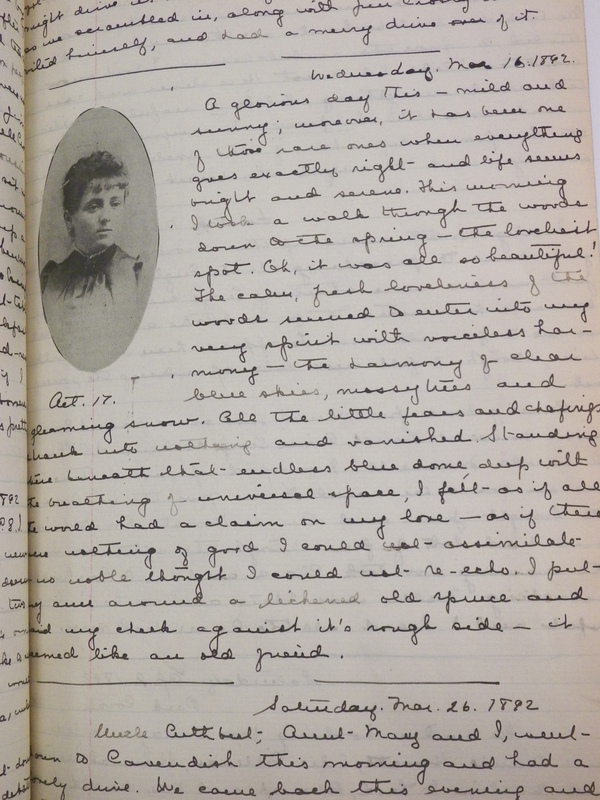 We saw her family Bible, a letter she wrote a friend at 15 which included a written copy of her first published poem, early signed editions of Emily’s Quest and Anne of Green Gables. 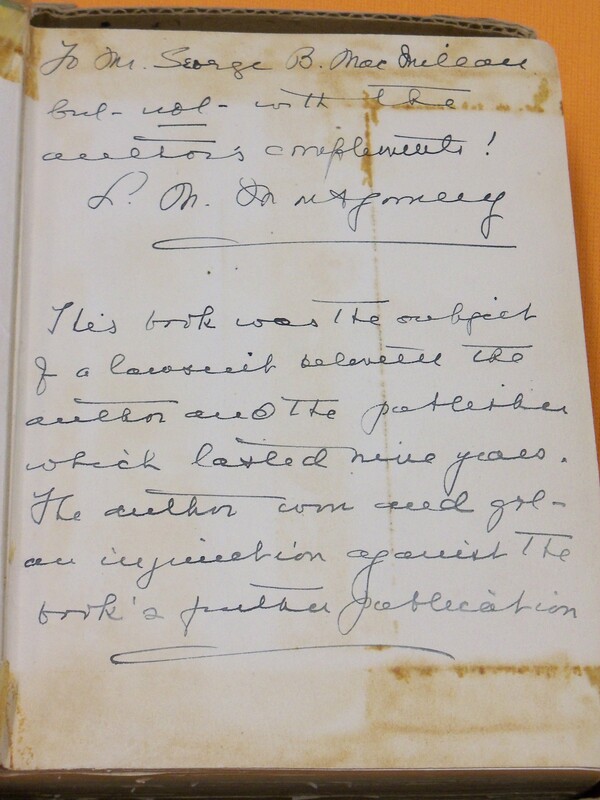 We also got to see a copy of Further Chronicles of Avonlea which was the subject of a lawsuit with her American publishers, who had published it without her permission. Finally, he brought out some other editions of Anne of Green Gables including many Japanese Editions, Italian, and Swedish published Arabic editions. 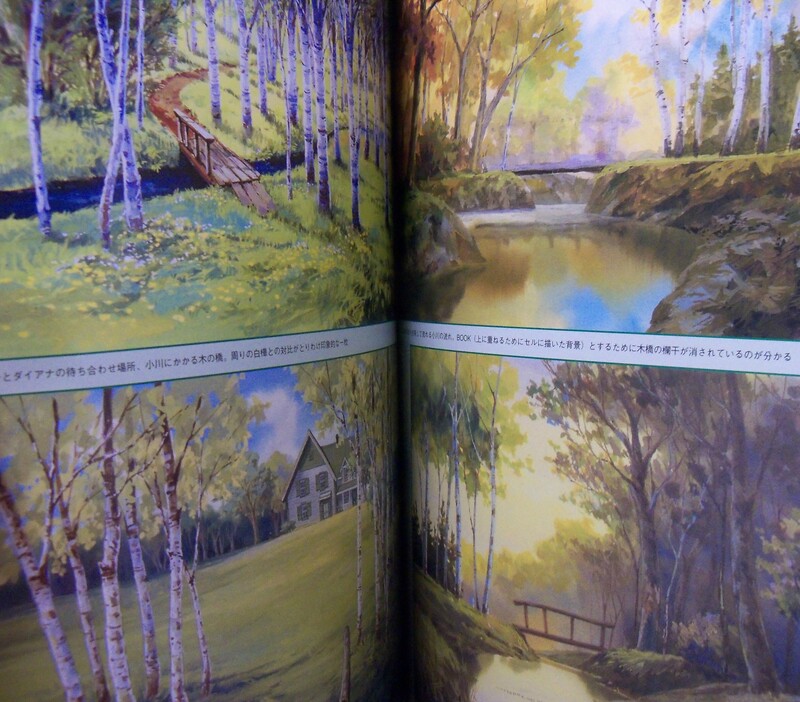 One thing he pointed out was the amazing artistry in the Japanese edition. They actually took the time to visit the Island and capture the scenery, while the publishers from New York and Toronto (substantially closer) didn’t bother. In the end, he gave me his card and told me to contact him when I’m coming back and he can pull out a few more things to show me, so we’ll see how that goes. 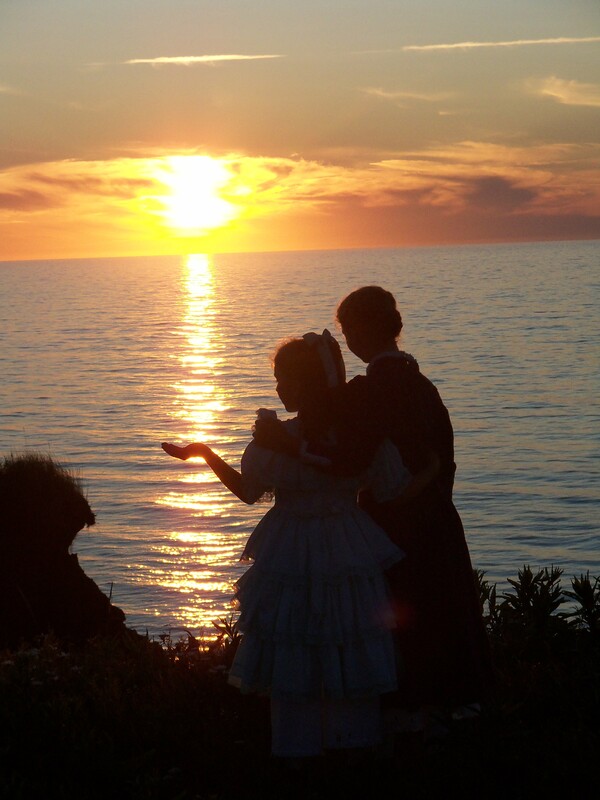 After a late lunch, I got the girls dressed up and headed out to take some scenic shots with them, we started at Dalvay by the Sea and worked our way back in time for sunset on our own beach, which was quite nice. Tomorrow, I think we’re heading to Avonlea Village. We’ll have to take a few pictures of the hay on the ground, but didn’t see new plowed fields today. Then, in the evening, we went to our second “Evenings with L.M. Montgomery at Bideford Museum. We read two of her short stories. The first was entitled “The Jest that Failed” from Tales of Correspondence. It tells the story of two freshmen girls who are trying to get a new girl to understand that she will never fit in with them, so they write a letter to her inviting to the prom with the most popular senior. When she responds that she’ll be delighted to attend, he is surprised, but chooses to go with her instead of humiliating her. So, instead of embarrassing the girl, the joke ends up making her the most popular girl at school. 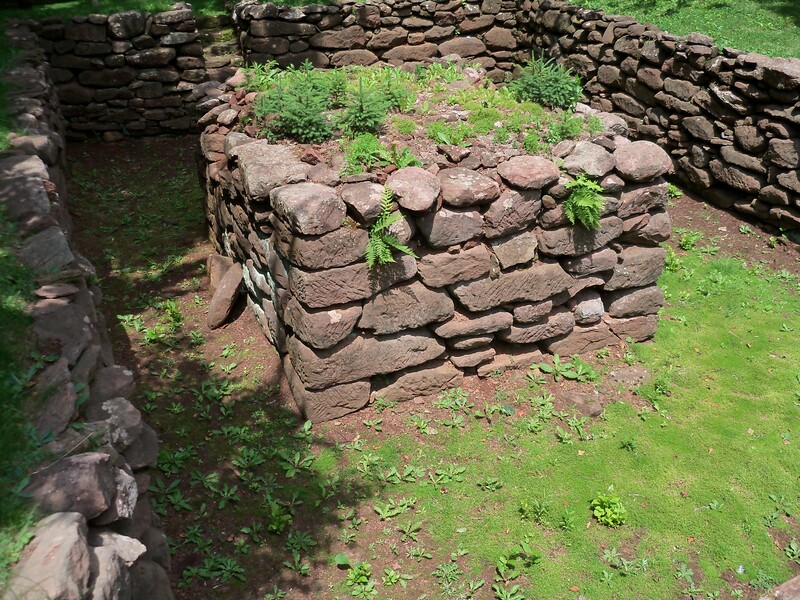 In the second story, “Charlotte’s Ladies” found in Akin to Anne, a young orphan girl discovers gaps in the fence that shows her two ladies in their daily routines. One she christens “The Pretty Lady,” while the other is known as “The Tall Lady.” Eventually, she strikes up a relationship with both and both come to adopt her. The ladies turn out to be estranged sisters, and Charlotte is able to mend their relationship. The thing I most enjoy about the “Evenings” is that the Hostess assigns parts to willing participants, and the stories read like a reader’s theatre. All of us had parts this evening, and I think it really makes the stories come to life. After the stories are finished, people discuss different points from it. One lady shared about having to take sulphur and molasses–a remedy that was mentioned in “Charlotte’s Ladies.” It was a fascinating evening. Anyone who’s read or watched the classic tale Anne of Green Gables feels like it is a real place. In actuality, it was based on a collection of real places. Today (7/22/11), we went on a journey to discover a number of those places. Today, we started off at the Green Gables house, which belonged to Lucy Maud Montgomery’s relatives. Since the house is so central to the books, the proprietors have decorated it the way it is described in Anne of Green Gables, complete with the amethyst brooch, a dress for Anne with puffed sleeves, Raspberry Cordial (No red currant wine since Diana drank it all! ), and the broken slate Anne broke over Gilbert’s head. Outside the house, the gardens are gorgeous! Additionally, they have the basis for “The Avenue,” which was “Lover’s Lane” in actuality, and “The Haunted Woods” where Anne falls down the well in Anne of Green Gables. Each walk takes between 25 aqnd 35 minutes, depending on how fast you walk. 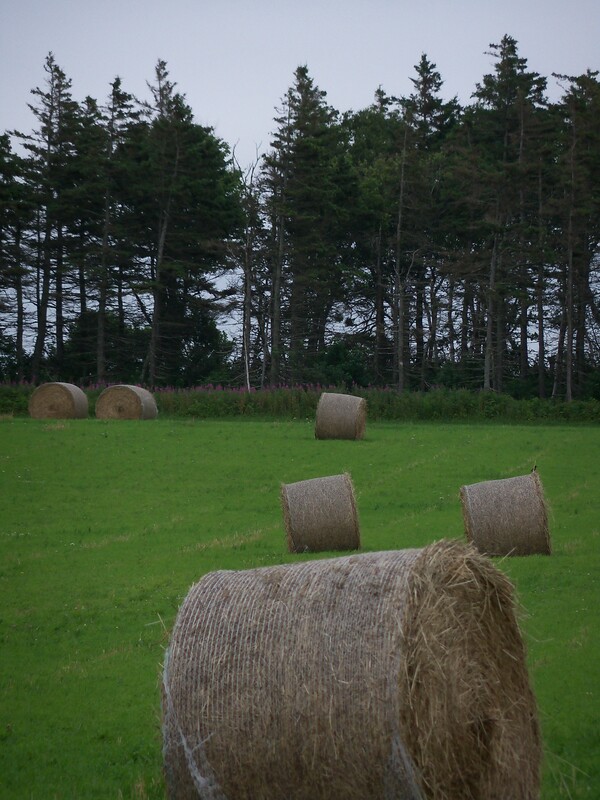 After the Green Gables experience, we decided to drive down the coast to decide where we want to stage pictures for later use. We found a number of cool beach shots despite the rain, culminating in a visit to Dalvay by the Sea, known to Anne of Green Gables lovers as The White Sands Hotel. Finally, we came home since it was raining. Another great Anne day! 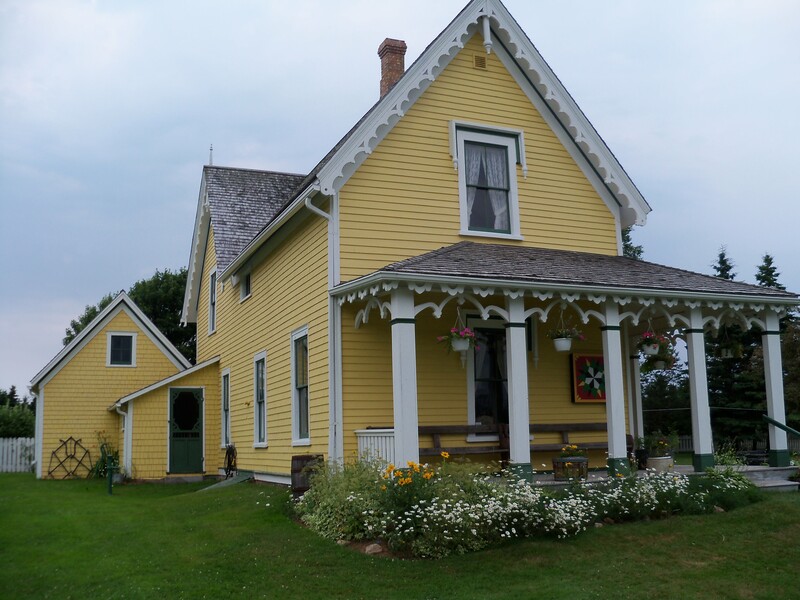 Whenever you are faced with the task of studying a person’s life, I find the best place to start is with their birth place, so we set out this morning (7/21/11) for New London to the Lucy Maud Montgomery (Maud, as she was called) birthplace. It was an incredible house that boasts Maud’s wedding dress and a collection of her scrapbooks. We got to take the house tour and see the room in which she was born. 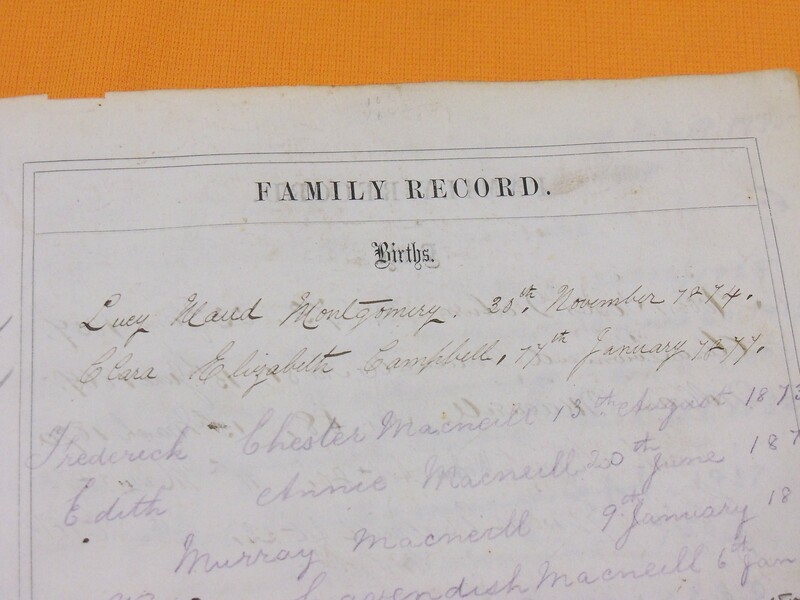 She only lived in the house until she was 21 months old when her mother contracted Tuberculosis. She then moved in with her maternal grandparents who ended up raising her. When the receptionist learned I was here studying LMM, she sent us to the Green Gables Museum. 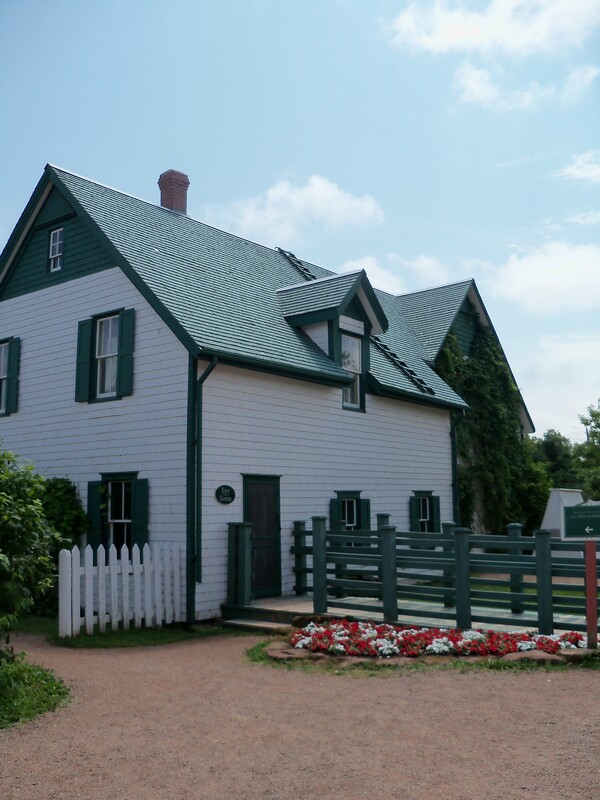 I had initially thought The Green Gables Museum was just something for tourists, but actually, it was the house in which she was married. 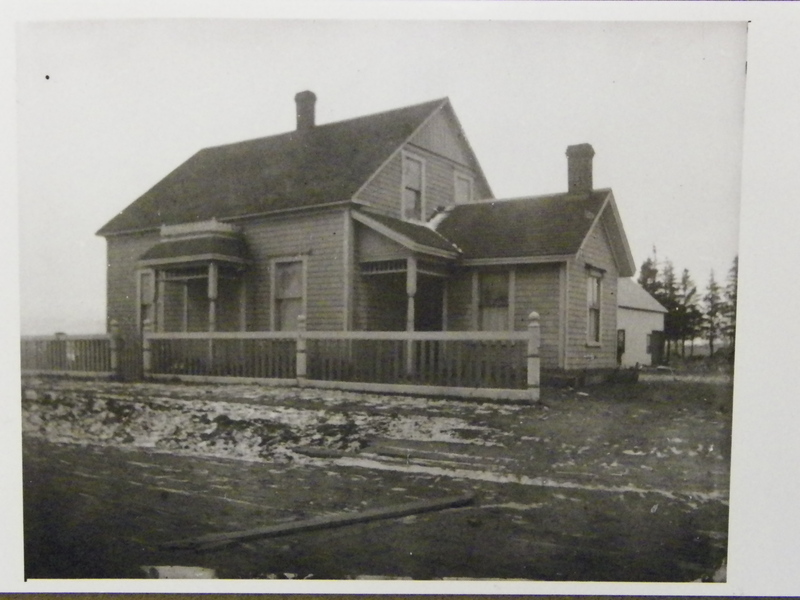 Her cousins owned the house and she spent many wonderful days there. It also is the place from which L.M. 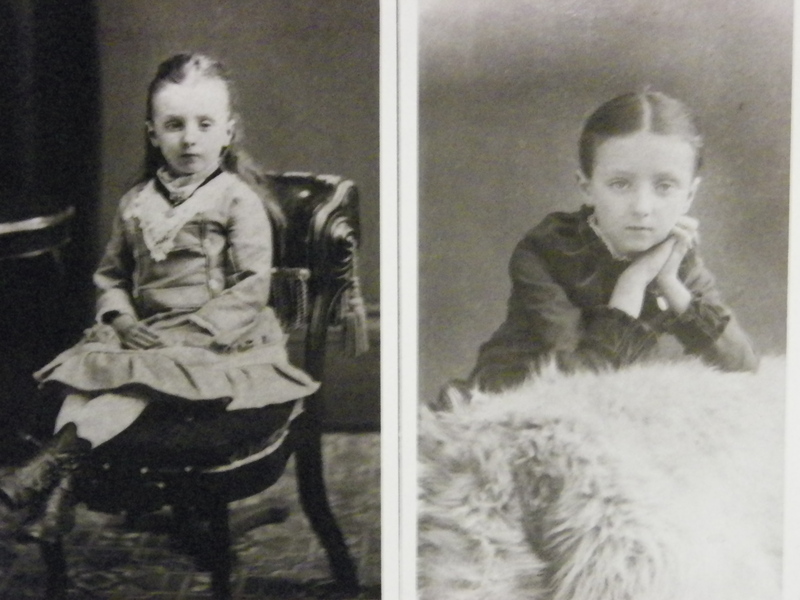 Montgomery drew the inspiration for the Lake of Shining Waters in Anne of Green Gables. 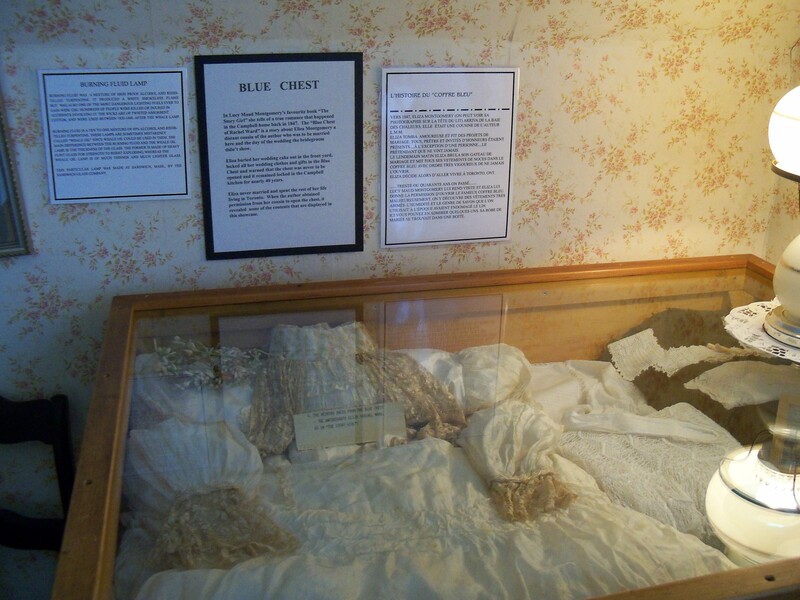 Wedding dress from "The Blue Chest"
Additionally, it contains the Blue Chest and wedding dress which were the basis for the story “Aunt Arabella’s Blue Chest” told in The Road to Avonlea or Rachel Ward’s blue chest in The Story Girl. Then, we headed down to the beach in search of some good sea shots. We waded along the beach and collected shells and rocks to paint at a later time. Finally, we headed to the post office to mail some letters. I discovered that Maud had helped her grandmother run the post office after her grandfather died. 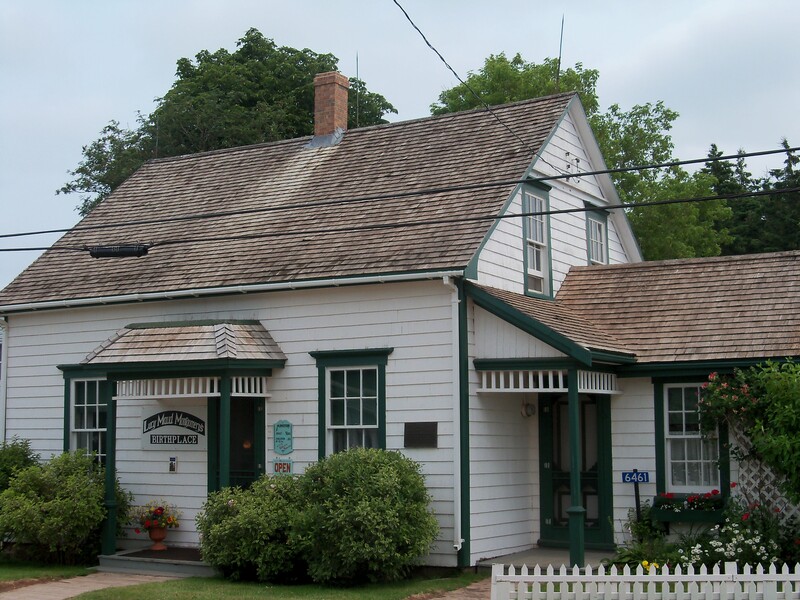 It was from this Post Office that she sent out the Anne of Green Gables manuscript (6 times! before it was accepted.) Then, we headed home. All in all an incredible day! One of the events I wrote into my grant was Wednesday Evenings with L.M. Montgomery hosted by the Bideford Museum. 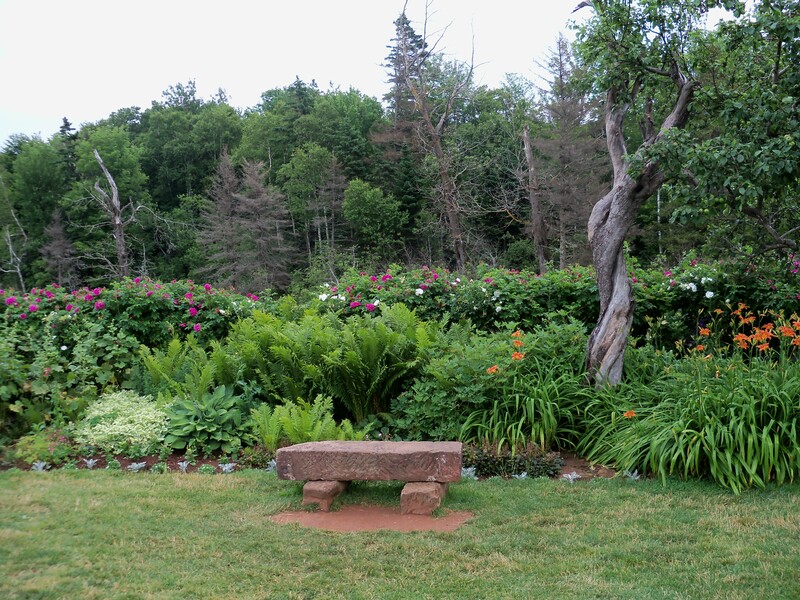 Every Wednesday during the summer months, they host a reading of a Lucy Maud Montgomery short story. I planned my trip to be in PEI for four Wednesdays so I would be able to attend. Tonight (7/20/11) was my first. My mom and two nieces accompanied me. We began the evening with a tour of the parsonage where Lucy Maud Montgomery lived during her teaching career. The official meeting time began with a girl who read a letter her great-great grandmother had written about her elopement, which took place around the town and time in which L.M. Montgomery lived. She had been in love with a man in town. 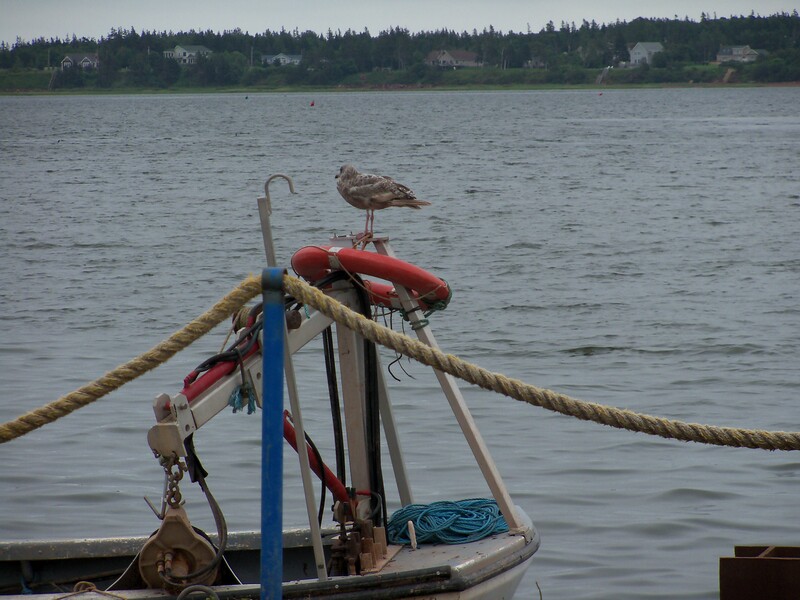 Her father didn’t approve of him, so one evening, he rowed a boat over, fired a shot to let her know he was there, and togehter they rowed to New Brunswick with her disguised as a fisherman. There, they got married. Her father held a grudge over the incident for many years but eventually forgave her when he rode through town and saw a little boy who complimented his horse. He told the little boy to ask his mom if he could come home with him. The woman, knowing the man was her estranged father, told the boy to tell him he could go if the man would go talk to his mother. He did, and the two mended their relationship. After she finished reading, we read a selection from The Story Girl which told the same story. 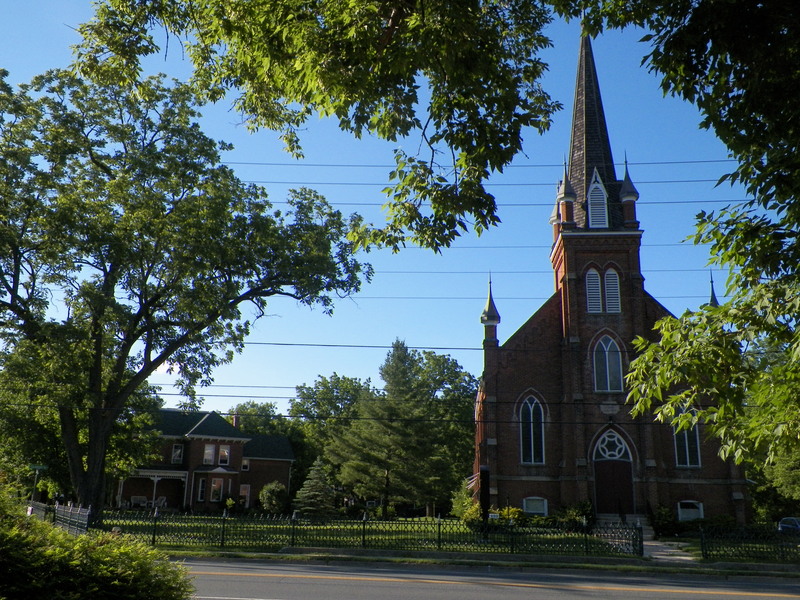 It was fascinating to see how Lucy Maud Montgomery drew inspiration from the community around her. I also learned this is the 100th anniversary of The Story Girl, so they are trying to read selections from 100 years ago. At the conclusion of the story, we had gingersnaps and Raspberry Cordial. Quite a delightful evening.